I've had this since the late 70s when my Dad bought it for me. Complete in box. Motors still work. Propellor is broken but can be glued. I've had this since the early 80s when my Dad bought it for me, One clear tire was eaten by my dog, otherwise complete in tray - no box. 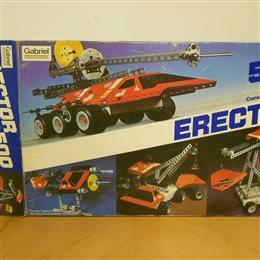 I've had this since the early 80s when my Dad bought it for me... motorized, remote control with cable. 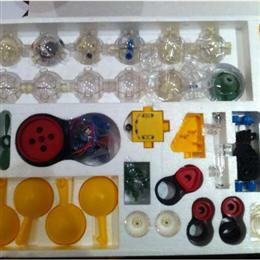 Some plastic parts. Complete in box. 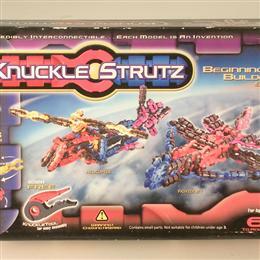 Knucklestrutz beginners set. Really cool, interconnectable building toy that I found at a yard sale. This is generation 1, there have been changes made to the tools design since this set but they're really cool and you can build a lot of stuff. 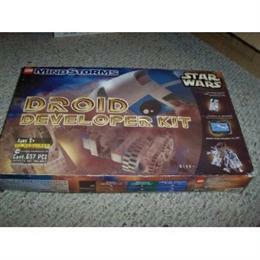 Lego Mindstorm Droid Developers kit R2D2. Found this at a yard sale for about $5, originally sold for around $100! Complete in box with manual. 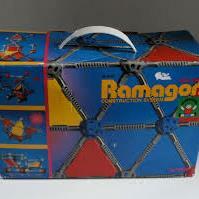 I found a bag of these building toys loose at an antique mall and found out they were called "Ramagon" so I bought two boxes of this full construction set as well as a few more loose sets as well. 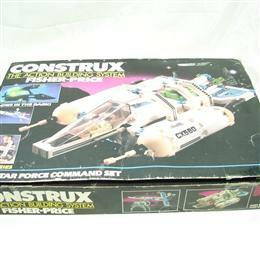 These are a really cool, and unusual, construction set from the 1970s.